The world's first great civilizations developed in or around river valleys. 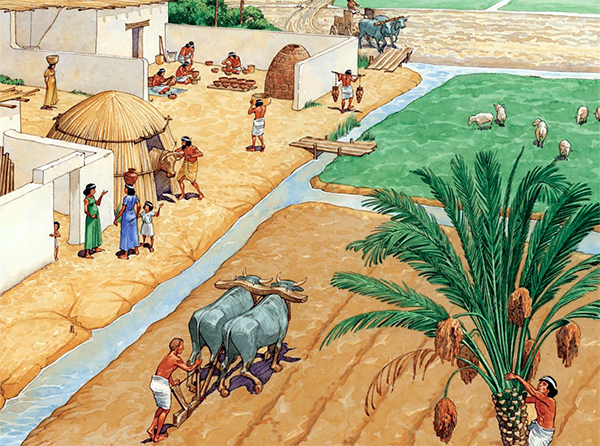 The four great river valley civilizations were the Nile River Valley, the Tigris-Euphrates River Valley, the Huang-He River Valley, and the Indus River Valley. Why did the four great early civilizations develop in or around river valleys? This WebQuest will answer this question and many more. 1) You will receive pages 47-49 for this assignment. They will end up in your notebook. 3) You MUST click/watch the 4 videos with the BOLD titles below. 4) As you click on the links and learn the material, you will fill in the paper with key words and phrases to help you remember. 1. Using the information you just learned, go to the Venn Diagrams (page 45).